As usual ALD Lab Saxony is organizing an ALD Symposium at SEMICON Europa. This time we are back in Munich and for the first time co-located with Productronica which may open new exsiting oppertunities for ALD! 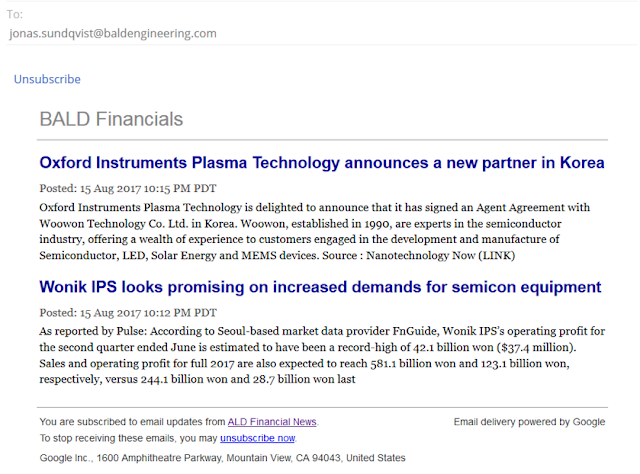 ESPOO, Finland, 31st August, 2017 – Picosun Oy, leading supplier of high-quality Atomic Layer Deposition (ALD) solutions for industrial production, reports of repeat sales of automated P-300BV vacuum batch production systems to major Asian discrete device manufacturers. Even if the 300 mm wafer size is the current state-of-the-art in many key semiconductor applications, and efforts have been made to increase this size even to 450 mm, the 200 mm market is very much alive and showing no signs of tailing off. One main factor supporting this steadfast longevity is the increasing usage of substrate materials such as GaN, SiC, and sapphire, where the wafer size is limited to 200 mm, or even smaller. These substrates have many benefits over traditional silicon and they allow manufacturing of components that are central in several technologies affecting our everyday life and the modern society. Examples are LED lighting, car and transport automation, power conversion, wireless communication and remote sensing. 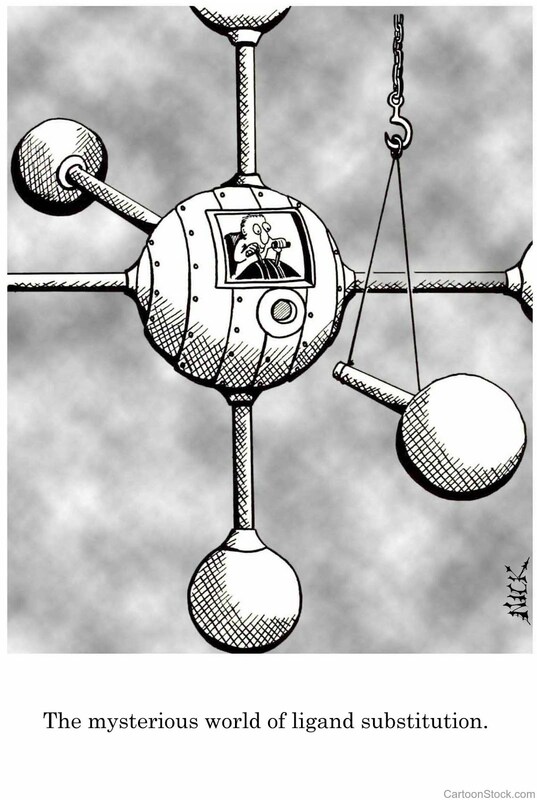 A prime example of the last two is the rapidly spreading Internet-of-Things with the billions of sensors forming its core. 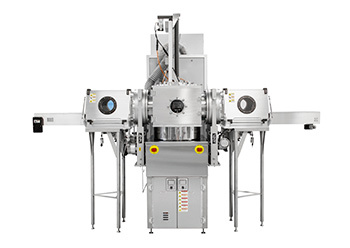 All of these applications ensure that the demand for 200 mm semiconductor production equipment stays at constant high and even increases. Beneq’s history is an exciting blend of Finnish industry history, high technology expertise, international business and nanocoatings. Last year was a year of strategic transformation at Beneq and now they are all set for the next growth phase. Beneq has ambitious development plans in both our business units – Thin Film Solutions and Lumineq Displays – and are now starting a large recruitment campaign for building the talent pool they will need to realize our growth plan. The efficiency of solar cells can be increased by the PERC technology (Passivated Emitter Rear Cell). The current yield increases because the back of the solar cell is passivated. However, additional process steps are needed for the production process adding to the over all production cost. Most commonly used passivation layers are aluminum oxide (Al2O3) or silicon nitride (SiNx) and until now Atomic Layer Deposition (ALD) has been able to produce th highest layer quality enable the use of thinner layer thickness and hence also save material cost (TMA precursor). The German Federal research project Simplex has succeeded in significantly improving the production process of highly efficient PERC solar cells on the basis of plasma-assisted chemical vapor deposition (PECVD), while at the same time potentiall reducing the costs. For example, PERC solar cells with 4 nanometer (nm) thick aluminum oxide layers could be produced instead of the current 20 to 30 nm and an efficiency of 21.0 percent. Hafnium oxide high-k dielectrics deposited by atomic layer deposition have been used in DRAM since 2004 (Samsung 90 nm) and 2007 in high performance CMOS logic (Intel 45 nm). Later the DRAM high-k dielectric was replaced by a zirconium oxide based material but for logic hafnium oxide has remained the material of choice for the high-k metal gate stack by toping off the native oxide of silicon with its higher k-value. Hafnium oxide even survived the transition to narrow 3D FinFET devices and is also the main contender for silicon based Nano Wire FETs. 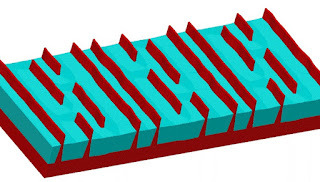 However, recent research in alternative 2D channel materials such as graphene, molybdenum disulfide and others has created a totally new situation where hafnium oxide finds it difficult to compete as the material of choice for the gate stack dielectric. You can read all about it in this online article published by Stanford, which also leads you to the original scientific references and journal publications. Alkane Resources reports that zirconium oxychloride (ZOC) prices up 40% since January 2017, which are the highest prices for 4-5 years. 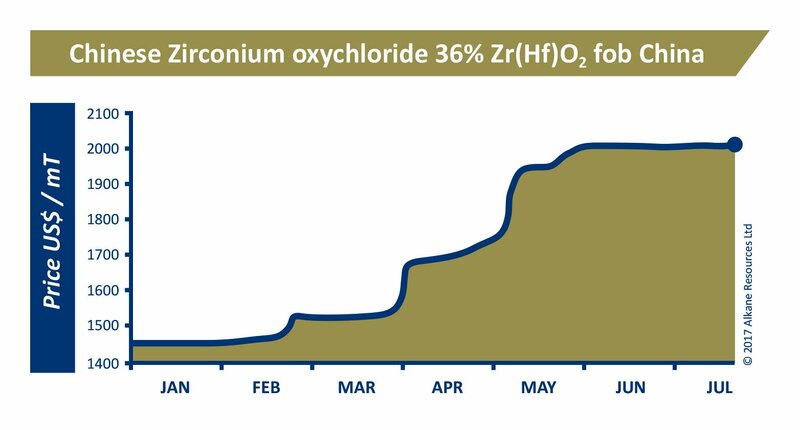 ZOC pricing hike during 2017 (Alkane Resources, Twitter). Alkane is developing the Dubbo Project in NSW Australia, based on a large in-ground resource of zirconium, hafnium, niobium and rare earths, with operations scheduled for 2018. In contrast to hafnium, zirconium is practically transparent to thermal neutrons, and it is commonly used for the metal components of nuclear reactors – especially the claddings of their nuclear fuel rods. This property makes it crucial to the expanding Chinese nuclear supply chain industry and is one of the main reasons for the current upward price trend. Besides the use of ALD deposited ZrO2 in DRAM memory cell capacitors, the leading end users of zirconia (ZrO2) are for ceramics, foundry sand (for metal sandcasting, over 70% of all metal castings are produced via sand casting process), opacifiers in glass, and refractories for material must withstand extremely high temperatures (e.g. furnaces). Other end uses of zircon include abrasives, chemicals (predominantly, zirconium oxychloride octohydrate and zirconium basic sulfate as intermediate chemicals), metal alloys, and welding rod coatings. ZOC is also the main source for the >50 tonnes global demand of hafnium of which about 2 tonnes is heading for the electronics and semiconductor industry. In semiconductor manufacturing hafnium is mainly employed as hafnium oxide in leading edge CMOC Logic for smartphones, laptops, tablets and servers. The ultra thin HfO2 (about 2 nm) is deposited by an ALD process using solid HfCl4 evaporated from an highly advanced solid source evaporator directly integrated next to the ALD process chamber. Since the introduction in 2007 by the Intel 45nm technology ASM International has totally dominated the high-k gate oxide market with its Pulsar 3000 ALD chambers. 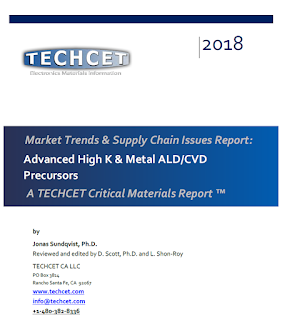 (Solid State Technology) Precursors tracked by TECHCET for ALD/CVD of metal and high-k dielectric films on IC wafers include sources of aluminum, cobalt, hafnium, tantalum, titanium, tungsten, and zirconium. The total market for 2017 is now estimated to be US$435M, growing to US$638M in 2021. The top-2 suppliers are estimated to hold more than half of the total available market, with many players competing to supply the next enabling molecule. In particular, cobalt precursor demand is forecasted to reach >$80M in 2021 as foundries transition to below 14nm-node processing. As a potential conflict mineral, TECHCET tracks the sub-suppliers of cobalt. 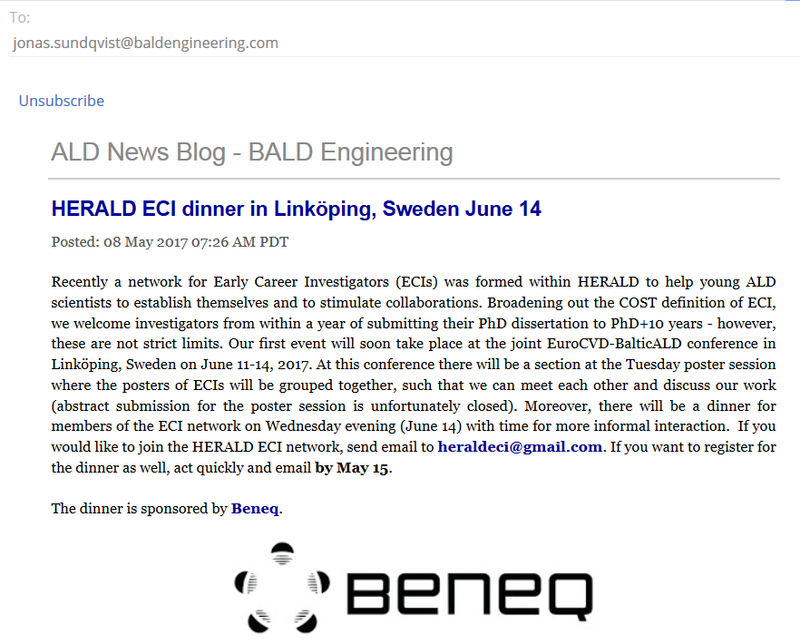 As have been reported before by Lund Nano Lab in Sweden (e.g. 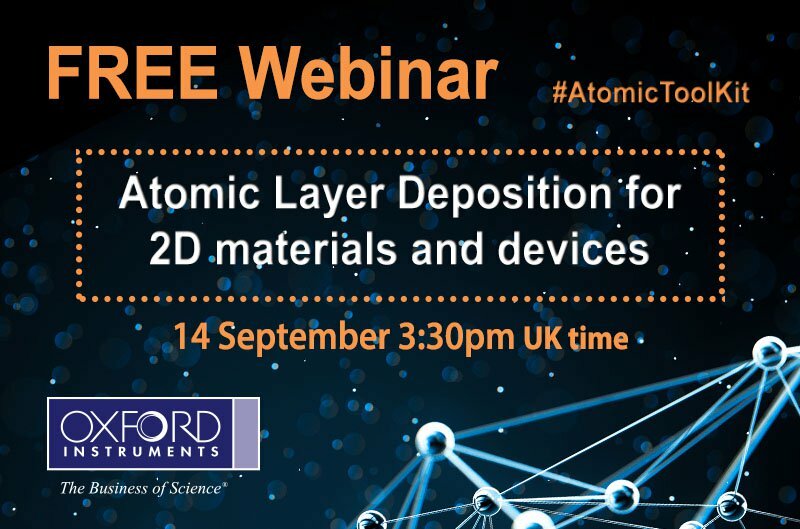 at ALE2016 Ireland and ALE2017 Denver) it is quite possible to use a standard ICP reactive ion etch chamber to run Atomic Layer Etching (ALE). 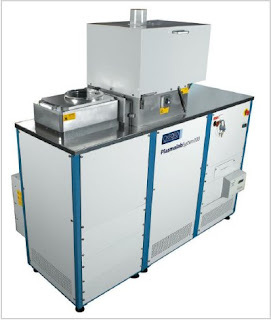 Here is a nice publication from Aalto University in Finland and current and ex scientists from Lund Nano Lab in Sweden transferring the ALE processes from Lund and running it on an Oxford Instruments Plasmalab 100 in ALE mode etching GaN in Helsinki Micronova clean room. MOCVD grown epitaxial AlGaN/GaN heterostructures implemented in high electron mobility transistors (HEMTs) have a well-defined layered structure with the two-dimensional electron gas (2DEG). However, etching of the gate recess is challenging as conventional RIE does not provide sufficiently good control over the etch process, and high energy ions can cause damage to the 2DEG layer. This paper showcase how these problems can be avoided if GaN ALE is used in etching these recesses. Sabbir Khan - the ALE King tuning the Plasma at Lund Nano Lab. Besides techniques of growing a single monolayer or few monolayers of GaN are challenging. GaN ALE could provide an alternative method to the 2D material community by a controlled thinning of high quality films of GaN down to a few atomic layers. 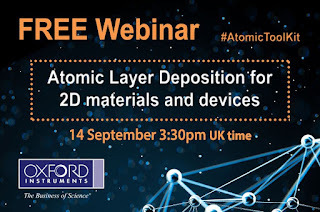 Abstract: In this work, atomic layer etching (ALE) of thin film Ga-polar GaN(0001) is reported in detail using sequential surface modification by Cl2 adsorption and removal of the modified surface layer by low energy Ar plasma exposure in a standard reactive ion etching system. The feasibility and reproducibility of the process are demonstrated by patterning GaN(0001) films by the ALE process using photoresist as an etch mask. 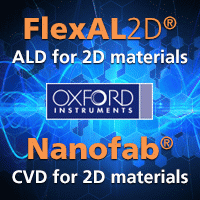 The demonstrated ALE is deemed to be useful for the fabrication of nanoscale structures and high electron mobility transistors and expected to be adoptable for ALE of other materials. AIXTRON announced that OSRAM Opto Semiconductors has purchased the company's AIX 2800G4-TM Planetary system for the manufacturing of mainly infrared-based high power lasers and LEDs based on gallium arsenide (GaAs). 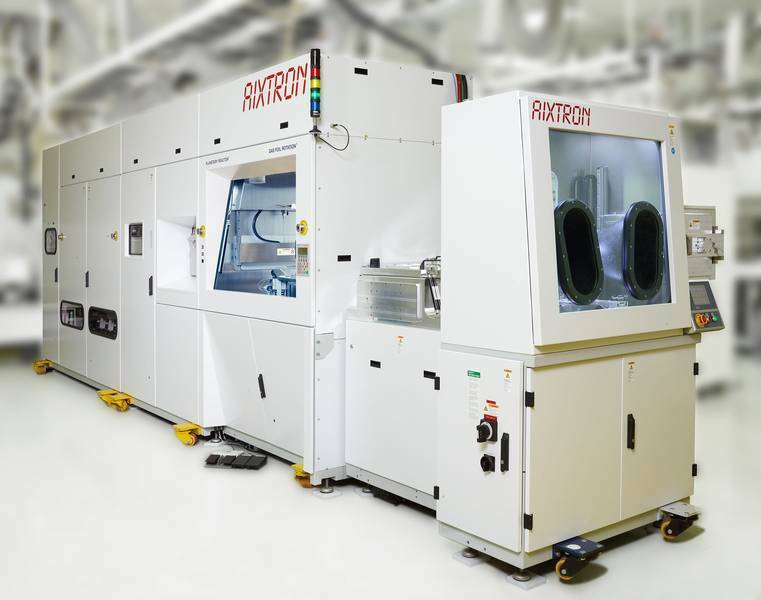 From Aixtron Press release: “We are very pleased that OSRAM Opto Semiconductors has selected our AIX 2800G4-TM platform for the production of high power laser and infrared LED devices. Their trust in our AIX 2800G4-TM system confirms our strategy to focus on solutions for the most demanding applications, where superior process performance is mandatory to meet our customer’s requirements. Following the recent qualification of our AIX G5 C platform and achieving this key milestone also with the AIX 2800G4-TM, we are looking forward to further deepen our partnership with one of the most innovative semiconductor manufacturers worldwide”, explains Dr. Frank Schulte, Vice President AIXTRON Europe. 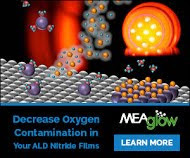 Don´t miss any ALD News! 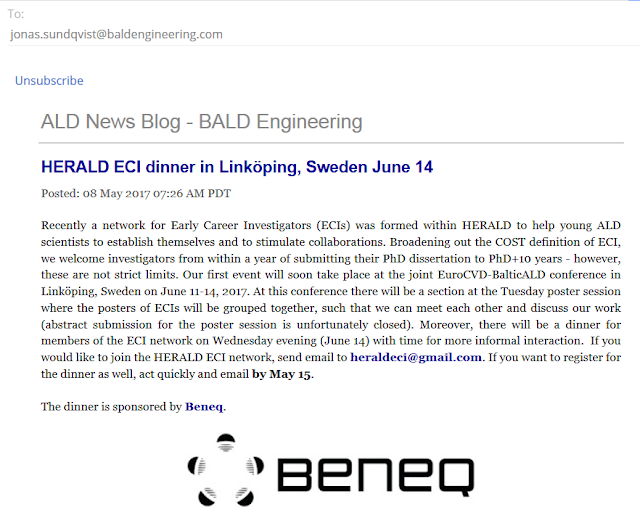 Here is a service provided by BALD Engineering that you can order your own personalized e-mail news service for the two News Blogs operated by BALD Engineering. The feed can also be integrated into any feed reader you may be using or if you like to provide the news feed on your website. You´re welcome to do so - it is for free! This is especially convenient for those of you in countries were LinkedIn is currently blocked, which is typically the way of getting the news otherwise. Just click on the links below and you can set it up as you like (two examples as screendumps below). Some years ago Barry Lab presented their plasma enhanced gold ALD process (LINK). However, in order to coat 3D features and objects plasma activated processes have limitations so that is why it is now very cool to read about a thermally activated ALD process for gold from University of Helsinki. They have identified a precursor, Me2Au(S2CNEt2), with a quite broad thermal ALD process window (120–250 °C). 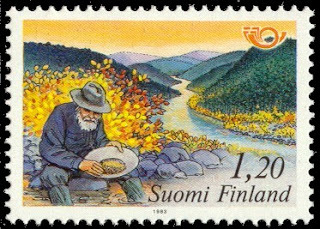 Amazingly, as for the earlier breakthrough from Helsinki on Ruthenium ALD, the trick is to use a oxygen co reactant and for gold the Finns had to go all the way and use ozone. Read all about the details in the paper below. Abstract: Five Au(III) compounds were synthesized and evaluated for atomic layer deposition of Au thin films. One of the compounds, Me2Au(S2CNEt2), showed optimal thermal characteristics while being volatile and thermally stable. 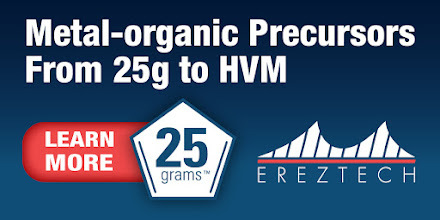 In the growth experiments, this compound was applied with O3 at temperatures of 120–250 °C. Self-limiting growth was confirmed at 180 °C with a rate of 0.9 Å/cycle. The deposited Au thin films were uniform, polycrystalline, continuous, and conductive. Typical resistivity values of 40 nm thick films were 4–16 μΩ cm, which are low for chemically deposited thin films. The chemical composition of a Au thin film deposited at 180 °C was analyzed by time-of-flight elastic recoil detection analysis, proving the film was pure with small amounts of impurities. The detected impurities were O (2.9 atom %), H (0.9 atom %), C (0.2 atom %), and N (0.2 atom %). Purdue University reports: WEST LAFAYETTE, Ind. — A new featherweight, flame-resistant and super-elastic metamaterial has been shown to combine high strength with electrical conductivity and thermal insulation, suggesting potential applications from buildings to aerospace. [From the abstract, Adv. Mater., DOI: 10.1002/adma.201605506] "A ceramic/graphene metamaterial (GCM) with microstructure-derived superelasticity and structural robustness is achieved by designing hierarchical honeycomb microstructures, which are composited with two brittle constituents (graphene and ceramic) assembled in multi-nanolayer cellular walls. Attributed to the designed microstructure, well-interconnected scaffolds, chemically bonded interface, and coupled strengthening effect between the graphene framework and the nanolayers of the Al2O3 ceramic (NAC), the GCM demonstrates a sequence of multifunctional properties simultaneously that have not been reported for ceramics and ceramics–matrix–composite structures, such as flyweight density, 80% reversible compressibility, high fatigue resistance, high electrical conductivity, and excellent thermal-insulation/flame-retardant performance simultaneously." Findings were detailed in a research paper published on May 29 in the journal Advanced Materials. The paper was a collaboration between Purdue, Lanzhou University and the Harbin Institute of Technology, both in China, and the U.S. Air Force Research Laboratory. A research highlight about the work appeared in the journal Nature Research Materials and is available at https://www.nature.com/articles/natrevmats201744.pdf. A YouTube video (below) about the work is available at https://youtu.be/PVd-eS_KMlU. 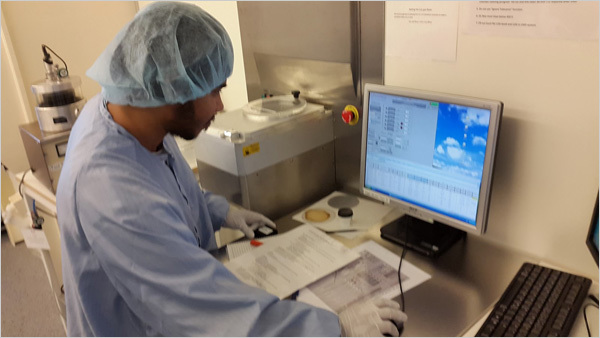 The ALD process of the nanolayer Al2O3 ceramic (NAC) were performed in an Utratech Fiji F200 (now Veeco CNT) ALD system at 250 °C using trimethylaluminum (TMA) and H2O. Scientists from École polytechnique fédérale de Lausanne (EPFL) in Switzerland has reported a low cost system to split carbon dioxide to carbon monoxide and oxygen using an ALD tin oxide catalyst on copper oxide nanowires. The devis is working at a rather efficiency of 13.4%, which opens up new paths to get rid of the man made CO2 that is currently heating up our planet and causing extreme weather conditions everywhere - believe it or not. The research comes out of the famous laboratory of Prof. Michael Grätzel at EPFL, one of the worlds top 10 most cited chemists and most certainly the most cited chemist from Dorfchemnitz in Saxony, Germany. One of his most famous invention is the so called Gräzel cell - a dye-sensitized solar cell, which is a low-cost version of thin film solar cells and he was awarded the 2010 Millennium Technology Prize for this invention. Michael Grätzel (born 11 May 1944, in Dorfchemnitz, Saxony, Germany) is a professor at the École Polytechnique Fédérale de Lausanne where he directs the Laboratory of Photonics and Interfaces [Wikipedia]. The future of clean energy depends on our ability to efficiently store energy from renewable sources and use it later. 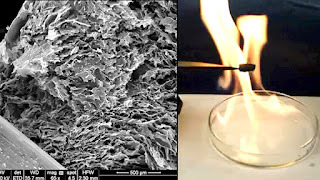 A popular way to do this is to electrolyze carbon dioxide to carbon monoxide, which is then mixed with hydrogen to produce liquid hydrocarbons like gasoline or kerosene that can be used as fuel. However, we currently lack efficient and Earth-abundant catalysts for the initial splitting of CO2 into CO and oxygen, which makes the move into renewable energy expensive and prohibitive. EPFL scientists have now developed an Earth-abundant catalyst based on copper-oxide nanowires modified with tin oxide. The system can split CO2 with an efficiency of 13.4%. The work is published in Nature Energy, and can help worldwide efforts to synthetically produce carbon-based fuels from CO2 and water. 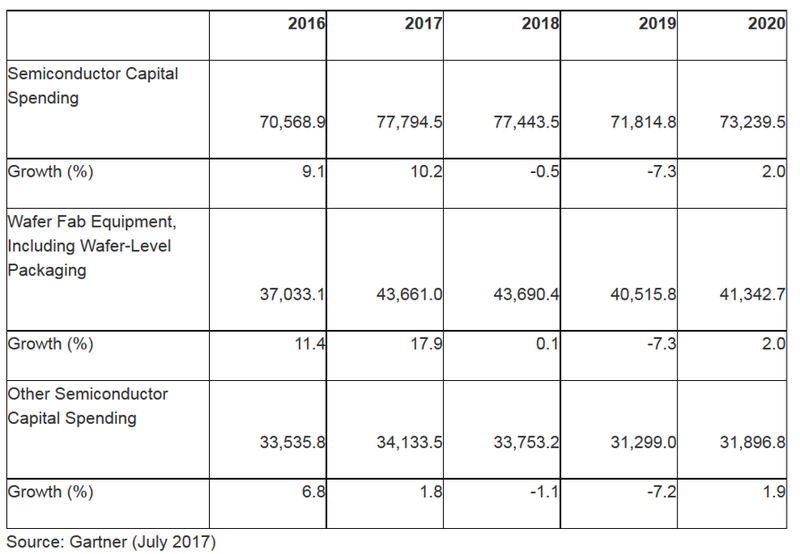 (Gartner press release, August 2, 2017) Worldwide semiconductor capital spending is projected to increase 10.2 percent in 2017, to $77.7 billion, according to Gartner, Inc. 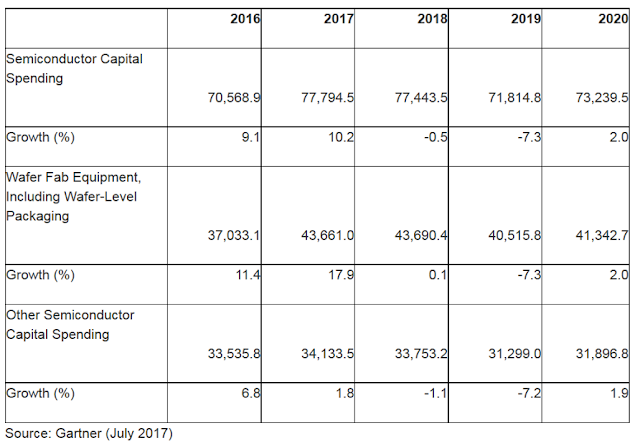 This growth rate is up from the previous quarter's forecast of 1.4 percent, due to continued aggressive investment in memory and leading-edge logic which is driving spending in wafer-level equipment (see Table 1). "Spending momentum is more concentrated in 2017 mainly due to strong manufacturing demand in memory and leading-edge logic. The NAND flash shortage was more pronounced in the first quarter of 2017 than the previous forecast, leading to over 20 percent growth of etch and chemical vapor deposition (CVD) segments [includes ALD] in 2017 with a strong capacity ramp-up for 3D NAND," said Takashi Ogawa, research vice president at Gartner. Atomic Level Processing technology like ALD and ALE are crucial for current and coming nodes in both logic and memory. So for you atomic level people it may be interesting to keep a close track of the current challenges and solutions in scaling and patterning. Here are three interesting articles by Coventor covering this topics (from the Coventor August 2017 news letter). What drives SADP BEOL variability (LINK)? 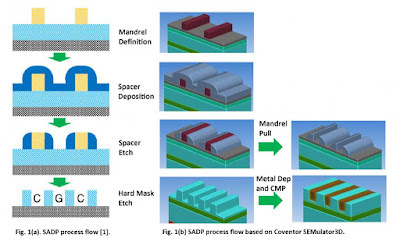 Until EUV lithography becomes a reality, multiple patterning technologies such as triple litho-etch (LELELE), self-aligned double patterning (SADP), and self-aligned quadruple patterning (SAQP) are being used to meet the stringent patterning demands of advanced back-end-of-line (BEOL) technologies. In this blog, we modeled SADP process variability to try to understand the effect of this variability on BEOL and RC performance. Things were easy for integrators when the pattern they had on the mask ended up being the pattern they wanted on the chip. Multi-patterning schemes such as Self-Aligned Double Patterning (SADP) and Self-Aligned Quadruple Patterning (SAQP) have changed that dramatically. In this blog, we look at how small variations in photoresist shape can significantly impact multi-patterning yield. 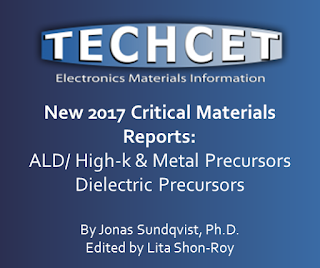 As we approach 7nm and lower technology nodes, lithography, patterning, material and interconnect challenges abound. David Fried, Chief Technology Officer of Coventor, addresses these challenges in a video interview with Ed Sperling of Semiconductor Engineering. David also reviews the problems that we are facing at both 7nm and 5nm and proposes some potential solutions. 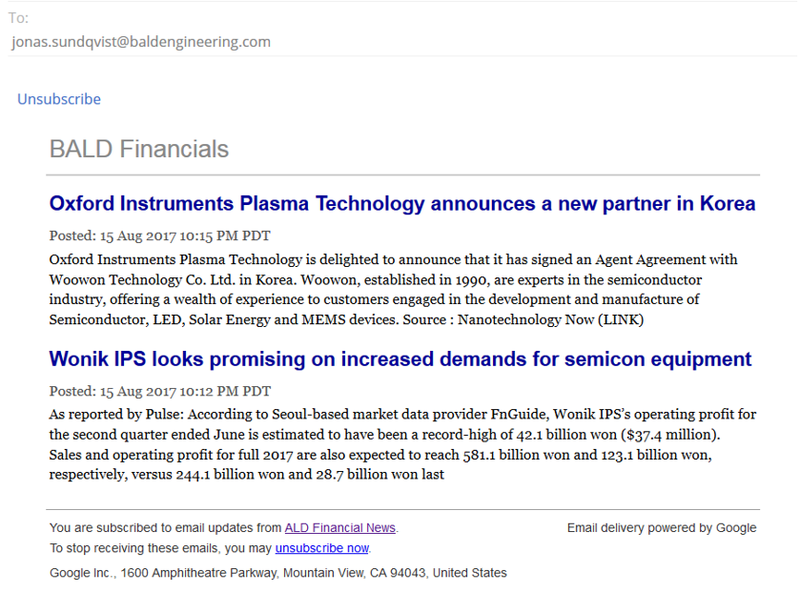 Movie from Coventor August 2017 newsletter as released on Youtube from an interview with Ed Sperling of Semiconductor Engineering. 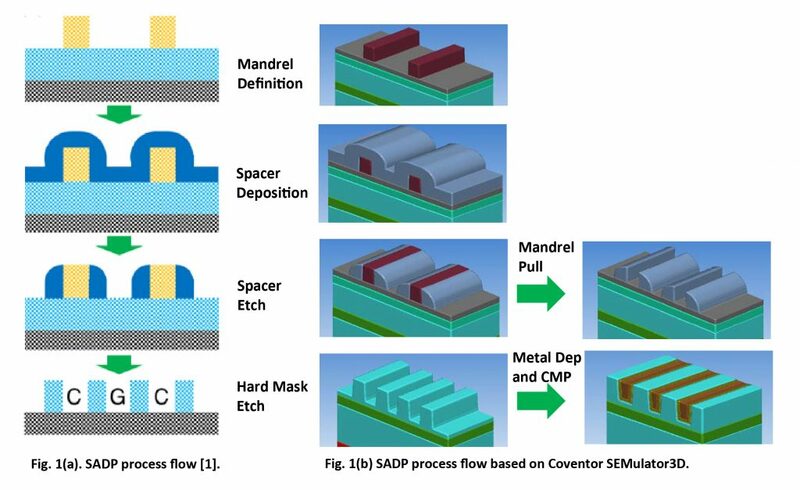 Planar NAND was scaled and at the end limited by the cost of lithography, wheras 3D NAND scaling is enabled by advanced deposition and etch processes defining complex high aspect ratio 3D structures. 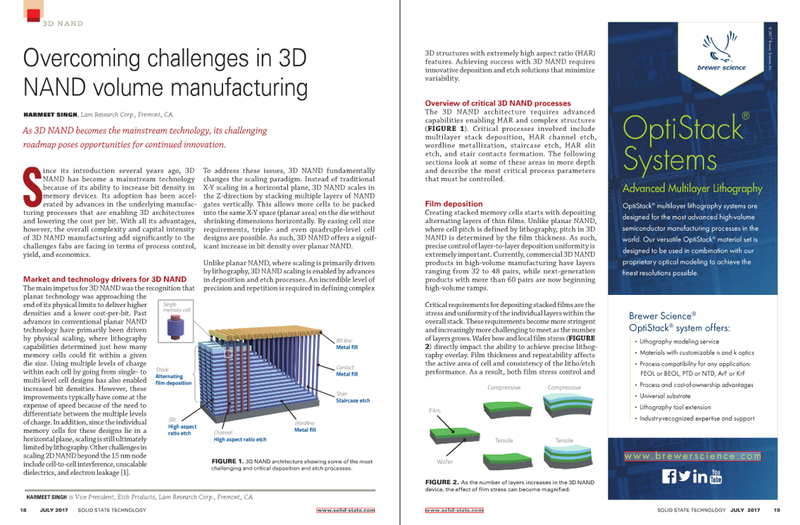 Here is an excellent article by Lam Research in Solid State Technology on the challenges in 3D-NAND fabrication. San Diego, Calif – August 1, 2017–RASIRC today announced that Rene Deubler has joined the company as Director of Sales. Deubler brings to RASIRC a proven track record of exceptional sales growth with new technologies. His past experience includes engineering, program management, field service, and sales for both domestic and European semiconductor OEMs. His primary focus is growth of sales of RASIRC products including the Peroxidizer®, Hydrogen Peroxide Steamers, BRUTE® Peroxide and Hydrazine, and the RainMaker® Humidification System (RHS). Deubler holds an MBA in Project Management from the Keller Graduate School of Management. He also holds a degree in Computer Science and Electrical Engineering from Höhere Technische Lehranstalt in Austria. Prior to RASIRC, Deubler was General Manager for Von Ardenne North America, where he opened the US operation and grew the business to $76 million over six years. Prior to Von Ardenne, he was regional field service supervisor for EV Group, where he increased project efficiency, improved product quality and accelerated customer satisfaction. In collaboration with COST action HERALD, Ghent University will host the 2nd HERALD Early Career Investigators (ECIs) Network event, which will be held on August 28-29, 2017. The aim of this lunch-to-lunch meeting is to bring together members of the network and exchange ideas and experiences on the challenges that come with establishing ourselves as a (prospective) research group leader. We have also invited some successful and established leaders in the field who will share their experiences and give advices on how to build a successful career path to full research independency. The meeting will offer opportunities for networking and discussions among the network members and invited speakers.